Alland & Robert carried out an international survey to learn about the public knowledge of additives. What do people know about acacia gum and food additives? Alland & Robert carried out a survey in the USA, UK, Japan and Germany, to find out just how much people know about acacia gum and food additives. The responses were both surprising and unexpected! 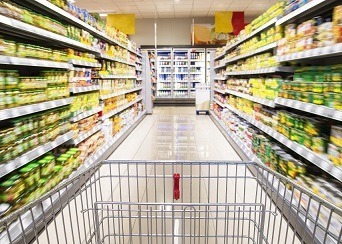 71.5% of the 1000 Americans surveyed confirmed that they read food labels before buying a product. Likewise, almost 88% believe that they have a good understanding of the ingredients listed on the labels. This is an excellent result in comparison with the Japanese, as ‘only’ 53% believe that they have an understanding of products’ nutritional information. Moreover, more than 65% of British people recognise that the letter E represents a food additive. Also according to the survey results, 42.7% of Americans are aware that acacia gum is a natural additive. Almost half of them (42.1%) know that it is present in bread as well as drinks (45.9%). However, very few of them (29.1%) know that it is also found in cosmetic products. 32.77% of British people wrongly believe that food additives are solely chemical! Acacia gum (or Arabic gum, or E414) is a natural additive and sap exudate, as it is taken from the trunk of acacia trees. In addition to the product’s inherent naturalness, the harvest – carried out in the Sahel countries in Africa – is also 100% natural. …But 77% don’t know that it’s a source of fiber! Only 23% of Americans realize that acacia gum is a source of fiber (39.4% wrongly think that it is a source of sugar!) The results of the UK survey were no better, since over 82% didn’t know that it is a source of fiber. As for those interviewed in Germany, more than 90% of them were unaware of this benefit! Have no doubt, acacia gum is an excellent source of fiber. Furthermore, the acacia gum producer Alland & Robert guarantees at least 90% fiber content. As a source of fiber, acacia gum has many advantages, including: acidity and heat resistance, no side effects nor intestinal problems, low in calories, and a very low glycaemic index, as well as scientifically-proven prebiotic effects.